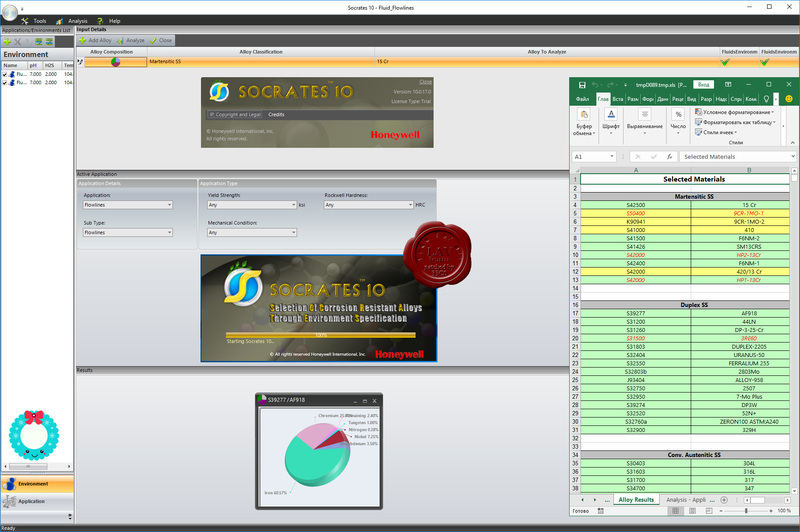 ​Socrates v10.0 is a comprehensive corrosion resistant alloy (CRA) material selection system for corrosive oil and gas applications. It enables users to make consistent, optimized choices based on real corrosion engineering data and rigorous materials engineering guidelines.​​​ The use of CRAs in oil and gas applications has revolutionized the industry by providing metallurgical solutions to address challenging applications where carbon steel is not a feasible option. It aids decision-making by drawing on proprietary Joint Industry Program (JIP) data, extensive field experience, and the latest NACE MR0175/ISO 15156 service limits. validate the use of CRAs for existing applications through material and property analysis;\evaluate the potential for CRA equipment failure due to corrosion and cracking.